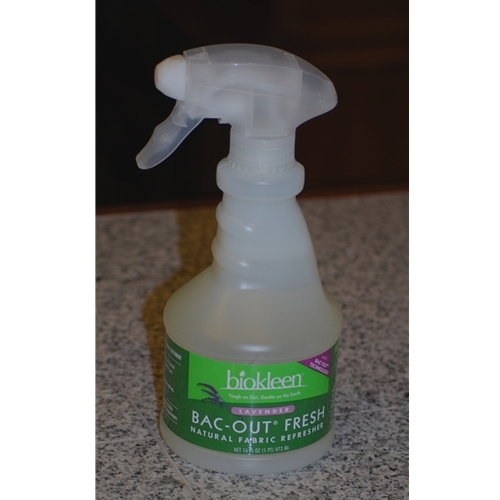 Bac-Out Fresh utilizes the Bac-Out technology that not only traps odors but digests them, getting rid of any odor and their return for good! Bac-Out Fresh leaves your fabrics smelling naturally fresh and clean. Safe to use on water-safe fabrics: sofas, curtains, pet areas, bedding, cars, sports bags, and much more. Bac-Out Fresh also comes in Lemon-Thyme.